Why Should I Use Synthetic Oil? Do you ever find yourself looking at a wall of engine oils not understanding what the difference is? One of the most important distinctions you should be able to make is the difference between synthetic oil and traditional engine oils. The technicians at your local Southern California Ford Dealers service center are here to explain the differences between them. Most drivers know that they need to change their oil regularly. However, it can be difficult to understand what oil to choose and why. Knowing the difference between synthetic oils and traditional oils can make a big difference not only to your pocketbook, but to your engine longevity as well. Traditional oils are made from fossil fuels, which are refined similarly to how gasoline is refined. During that refinement process, engine oil is purified and mixed with cleaning and performance additives beneficial to the engine. 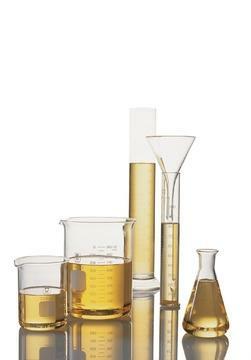 Synthetic oils however, are completely derived from man-made chemicals. This means that synthetic oils are cleaner for the engine and perform better because they were specifically designed for use combustion engines. There are also benefits to synthetic oil that you cannot see and feel directly. The uniform chemical composition of synthetic oils means that you are getting better engine protection because every drop of oil is identical. The chemicals used have better lubrication properties. Synthetic oils also last longer and can be used for more miles than traditional oils. Also, contrary to what some believe, synthetic oils work in old or new vehicles alike. It’s never too late to make the switch. As you can see, there are far more benefits to using fully synthetic oils in your vehicle. Traditional oils use more fossil fuels, cannot lubricate as well as synthetics, and won’t protect your engine as generously. Synthetic oils also have stronger and safer detergents, meaning the inside of your engine stays as clean as possible. The Southern California Ford Dealers service center near you is happy to help show you why synthetic oils make such a difference. If you haven’t made the switch yet, we will help you understand how easy it is, and why you won’t ever want to switch back. If you still have questions or concerns, stop by your local Ford Dealer today.